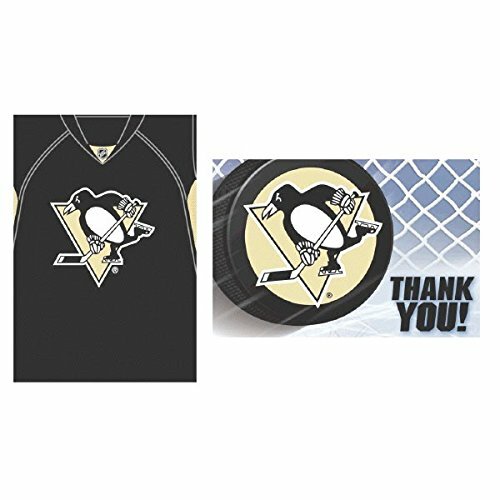 Pittsburgh Penguins NHL Hockey Sports Party Invitations & Thank You Card Set, Pack of 16. Let's get a party going! Invite your friends to party hard with you. Get our Pittsburgh Penguins Invitations & Thank You Card Set, you get to invite your friends to start it off and you'll be sure that you'll be able to thank them by the end of the event.